We are now having a huge stock of jojoba seeds. 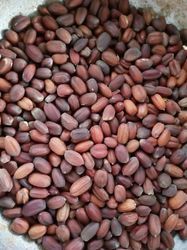 Currently, we can offer you jojoba seeds around 20 tons. We are manufacturing jojoba seed in bulk. we can also supply you jojoba seed oil if needed. We guaranty our product. it will be having maximizing efficiency of oil content. Abstract: The physical and chemical properties of edible oils influence their suitability for use in food and other process industries. The aim of this study was to determine the physico-chemical properties and proximate composition of Shea-butter oil. 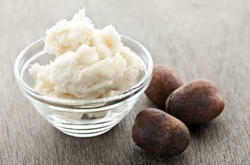 Results obtained showed that Shea-butter has the following chemical properties: acid value (3.825), iodine number (43.27), peroxide value (12.85), saponification value (196.90) and unsaponifiable matter (6.23%). Other physico-chemical properties quantified were moisture content (1.37%), ash content (1.26%), total fat (75.03%), carbohydrate content (22.34%), refractive index (1.452), relative density (0.906) and melting point (27°C). These results showed that the physico-chemical properties and proximate composition of Shea-butter are comparable with the properties of groundnut oil which is widely used for cooking and industrial food processes. Looking for pure natural products ?